This post contains affiliate links that allow us to earn a small commission if you make a purchase through those links. Have you seen the new Nutcracker movie yet? I plan to take my girls when my husband can stay home with the baby. The baby is now 18 months old and at that age when she no longer sleeps/nurses through movies. The last one I attempted was Incredibles 2, and she and I spent 90% of that movie in the hallway. So, it will be awhile before the whole family can head to the movies together. I just love the coloring from this movie with the Sugar Plum Fairies’ hair. I want that cotton candy hair of hers. 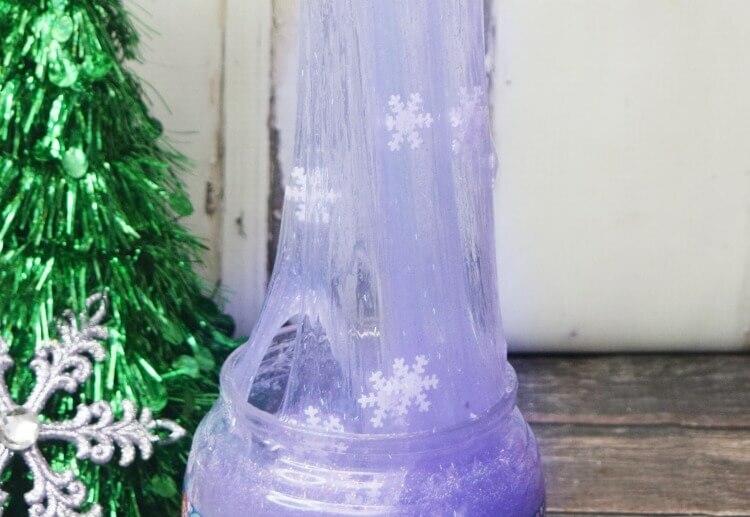 It inspired me to make this beautiful Snowflake Slime. My 8 yr old just loves slime and has been begging to make it for a week now. If you’ve seen my Halloween Spider Slime, this is made almost exactly the same — except, this time we use glitter glue and skipped adding the glitter ourselves. In a bowl pour out the entire contents of both bottles of glue. Add hot water to each of the glue containers, shake them up, and then pour out into the bowl with the glue. 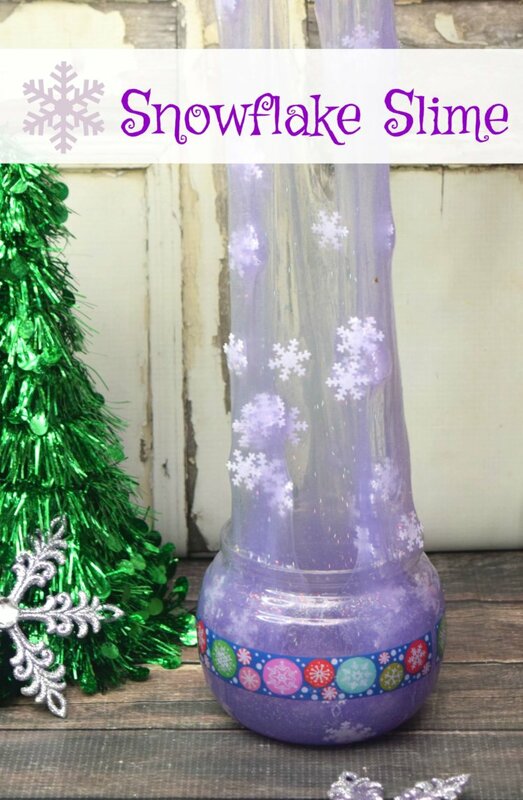 Add the snowflake confetti and stir it all up. Slowly add about half the starch to the concoction and stir. If you see there is still some liquid, add about half of what is left of the starch and keep stirring. Keep adding a little bit of starch if you still see water and keep stirring until it pulls away from the bowl as one big blob. You can play with it right away. But, for best results, let it sit for 30 minutes to an hour to kind of solidify and not be so sticky. Once you’re done playing, keep it in a container so it doesn’t dry out. 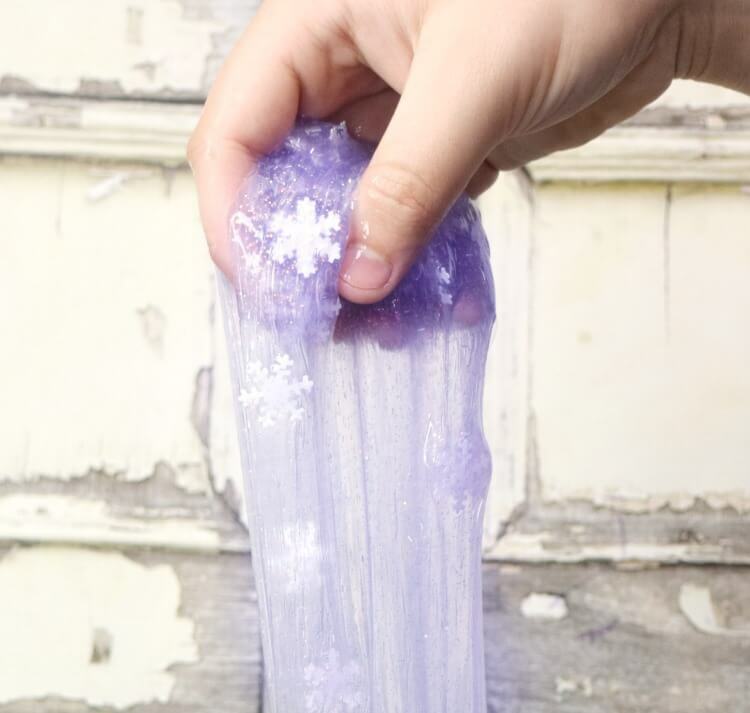 Don’t forget to grab a copy of our DIY Slime Guide. 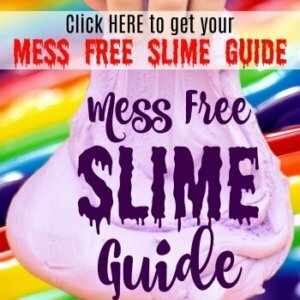 It has all kinds of tips, tricks, and things you never even thought of when it comes to making slime! Get it HERE!